Mr. Gibson has served as President and Chief Executive Officer (“CEO”) of the Company since January 2017. He has served as President of the Company since December 2015 and as an executive and CFO of the Company since 2000. He is also a director of Southside Bank. He joined Southside Bank in 1984. He currently serves as the President of the Tyler Junior College Foundation and serves on the Finance Committee of the Tyler Economic Development Council. He previously served as Chairman of the Board of Directors of the Federal Home Loan Bank of Dallas for six years, and Council of Federal Home Loan Banks for two years. Mr. Gibson has over 30 years of banking experience, has served on the board of Southside Bank since 1999, is a CPA and has extensive financial knowledge which qualify him to be a member of the Board. Ms. Shamburger has served as Executive Vice President and Chief Financial Officer of the Company and Southside Bank since April 2016. She is also an advisory director of Southside Bank. Ms. Shamburger served as Executive Vice President and Chief Accounting Officer from 2011 until April 2016. Ms. Shamburger joined Southside Bank in 1982 and has over 30 years of accounting experience. Ms. Shamburger is a graduate of the University of Texas at Tyler. She is responsible for regulatory and SEC reporting as well as overseeing the daily accounting practices of the Company and Southside Bank. Ms. Shamburger is a member of the American Institute of Certified Public Accountants, the Texas Society of Certified Public Accountants and the East Texas Chapter of the Texas Society of Certified Public Accountants. Mr. Alexander currently serves as the Chief Lending Officer (“CLO”) having joined Southside Bank in 2005 and is an advisory director of Southside Bank. 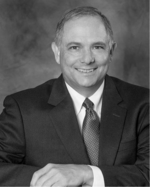 Mr. Alexander is a graduate of the University of Texas at Austin with over 35 years of commercial lending experience. He currently serves on the Board of Directors for Hospice of East Texas and is a Trustee on the Board of The Great Commission Foundation of the Episcopal Diocese of Texas. Mr. McCabe currently serves as a Senior Executive Vice President and Chief Operations Officer of the Company and Southside Bank. He is also an advisory director of Southside Bank. He joined Southside Bank in 1983, and since this time has managed different operational and electronic banking areas. Mr. McCabe is a graduate of Stephen F. Austin State University, with a degree in Business Data Processing and minor in finance, and the Southwest Graduate School of Banking. He currently serves on the Board of East Texas Lighthouse for the Blind. Mr. McCabe has previously served on the Board of Directors of the Tyler Area Chamber of Commerce, United Way of Smith County and Smith County American Red Cross. Mr. Garrett is a residential and commercial real estate developer and has served as the President of Fair Oil Company, a Tyler based oil and gas exploration and production company, since 2002. Mr. Garrett is also Vice President of the R. W. Fair Foundation, a member of the Board of Regents of Stephen F. Austin State University and a member of the University of Texas Health Science Center at Tyler Development Board. He is a past president of both the Tyler Area Builders Association and the Texas Association of Builders. He is a director of T.B. Butler Publishing, Inc., a member of the board of the Tyler Economic Development Council and the Meadows Mental Health Policy Institute. Mr. Garrett brings to our Board extensive knowledge in the areas of residential and commercial real estate and oil and gas, as well as management, leadership and business skills and experience serving on numerous boards, all of which qualify him to be a member of the Board. Mr. Thedford has been the President of Don’s TV & Appliance, Inc. since 1979. He is a member of the National Appliance Retail Dealers Association and the Nationwide Marketing Group. Mr. Thedford has previously served on the board of directors of the Tyler Area Chamber of Commerce, Better Business Bureau of East Texas, Retail Dealers Association and Salvation Army. Mr. Thedford’s management and leadership skills running his business for over 35 years combined with his overall knowledge of business and finance, qualify him to be a member of the Board. Dr. Anderson was the founder of Dermatology Associates of Tyler and served as the medical director from 1996 to 2012. He then served in the same role for Oliver Street Dermatology from 2012 to 2016. He is currently the Chief Medical Officer of Derm Growth Partners, a single specialty dermatology group with over 75 medical providers in three states. Dr. Anderson is a graduate of Washington State University and Uniformed Services University of Health Sciences in Bethesda, Maryland. He is a published author, with a number of publications, presentations and lectures to his credit. Ms. Anderson has a BBA with a major in accounting from Indiana University and has been a licensed CPA since 1976. She served as a director of OmniAmerican from 1996 to December 17, 2014 and as independent Chairperson of the Board from May 2010 to December 17, 2014 when OmniAmerican was acquired by the Company. She served for 24 years with Texas Health Resources as Senior Vice President and Chief Compliance Officer prior to retiring in January 2016. In that role, she had responsibilities for compliance, privacy, information security and enterprise risk management. Texas Health Resources is one of the largest nonprofit healthcare systems in the nation and has 24 acute care and short-stay hospitals that are owned, operated, joint-ventured or affiliated with the healthcare system and other healthcare organizations. Ms. Anderson continues to serve as a consultant to the healthcare system and other healthcare organizations. Her prior professional experience includes serving in various positions with the international accounting firm, PwC from 1980 to 1991. She is a member of the American Institute of Certified Public Accountants, the Texas Society of Certified Public Accountants and the Health Care Compliance Association. Ms. Anderson's public accounting experience, understanding of financial statements and experience as the Chief Compliance Officer for a large healthcare system qualify her to be a member of the Board. Mr. Bosworth is the President and Chairman of the Board of Directors of Bosworth & Associates, an insurance agency founded by his father. Mr. Bosworth has extended the agency's influence as one of the leading insurance agencies in Tyler and East Texas. Mr. Bosworth has earned the designation of Accredited Advisor of Insurance (AAI) and the Certified Insurance Counselor (CIC) designation through the National Alliance of Insurance Education, and he is also a Certified Workers Compensation Advisor (CWCA). Mr. Bosworth specializes in risk management consulting and oversees all other aspects of the firm. Mr. Bosworth is also a director of Southside Bank having served in that capacity since June 2015. Mr. Buie has been Chief Executive Officer of Tyler Packing Corporation, Inc., a meat processing firm since 1955. He serves on the Board of Directors of the University of Texas Health Science Center, Development Board of Directors of the University of Texas-Tyler, University of Texas at Tyler Foundation, Tyler Economic Development Council, and All Saints School Board (Emeritus). He has previously served on the board of The Salvation Army, East Texas Regional Food Bank, and East Texas State Fair. Patti Callan is a Principal of Callan Consulting and has provided services for the healthcare and insurance industries in the Dallas/Fort Worth area since 2001. Formerly she held executive management positions for regional and national insurance companies and owned an independent insurance agency. Mr. Cade is a retired retail building material store owner. He has been the President and co-owner of Cochise Company, Inc., a real estate and investment company since 1960. In addition, he is the managing partner of a family ranch and investment company. He served as an Elder/Trustee of the Glenwood Church of Christ from 1977 through 2015. Mr. Henderson is the owner of Henderson Mineral, Inc. and a graduate of Texas A&M University with a bachelors degree in Agricultural Economics. Mr. Henderson currently serves on the Board of Directors for Brookshire Brothers, Overseas Hardwood Company, The Pineywoods Foundation, the George H Henderson Jr. Expo Center and the Texas Forestry Association Legislative Board. He has worked closely with the Lufkin/Angelina Economic Development Board to bring new businesses to Angelina County. He previously served on the board of directors for First Bank & Trust of East Texas. Mr. Henderson has been a member of the Southside Bank board of directors since December 7, 2017. Mr. Lovelady has a BBA with a major in accounting, has been a licensed CPA since 1967, is a member of the American Institute of Certified Public Accountants, the Texas Society of Certified Public Accountants and the East Texas Chapter of the Texas Society of Certified Public Accountants. He was a founding member of Henry & Peters, PC from November 1987 through December 2004. Prior to joining Henry & Peters, PC, he was a partner in the accounting firm of Squyres Johnson Squyres & Co. He is a member of the board of directors of the Tyler Junior College Foundation, the Hospice of East Texas Foundation, the Alzheimer's Alliance of Smith County and a Trustee of the R.W. Fair Foundation. Mr. Morgan is a founding partner of Gollob Morgan Peddy P.C. an East Texas public accounting firm. He began his career as an accounting professional in 1972 and now specializes in Business Valuation and Litigation Support. He is a CPA, accredited in Business Valuation, and certified in Financial Forensics. Mr. Morgan is a graduate of Stephen F. Austin State University and has served in various community service roles for organizations including East Texas Communities Foundation, Children's Village and the East Texas Area Council, Boy Scouts of America. Mr. Morgan's extensive financial background, including being a founding partner of an accounting firm qualifies him to be a member of the Board. Mr. Sammons is the current Chairman and Chief Executive Officer of Mid States Services, Inc., a nationwide distributor of products and services to the corrections industry. He is also the owner of Temple Supply Company with investments in various non-public businesses related to sales to the convenience store industry. Mr. Sammons enjoyed an extensive public service career serving as mayor of Temple, Texas and also served on the Board of the Texas Department of Commerce among numerous other state and national appointments. He was Vice Chairman of the Board of Directors of OmniAmerican Bancorp, Inc. ("OmniAmerican") from 2009-December 17, 2014 when OmniAmerican was acquired by Company. 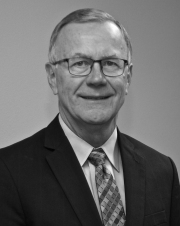 Mr. Sammons extensive business management background, knowledge of business and finance and skills leading numerous endeavors over 40 years qualifies him to be a member of the Board. Mr. Shands is currently Regional President, East Texas Region of Southside Bank. He is Chairman of the Board of Directors of Balcones Recycling, Inc., and is Trustee for the T.L.L. Temple Foundation, I.D. & Marguerite Fairchild Foundation and Angelina College. He previously served as President and CEO of First Bank & Trust East Texas for 26 years and was Treasurer of Temple Inland Inc., a major manufacturer of corrugated packing and building products, with diversified banking and financial services operations. Mr. Shands also served on the Board of Directors, and was Past Chairman for CHI Memorial Health Center of East Texas, City of Lufkin 4B Economic Development and First Bank of Conroe, N.A. Mr. Shands’ over 40 years of Banking experience, leadership, business development and management skills qualify him to be a member of the Board. Mr. Sheehy is a retired partner of the law firm of Wilson, Sheehy, Knowles, Robertson and Cornelius where he served since 1971, and a practicing attorney since 1964. Mr. Sheehy served as Southside Bank's outside general counsel and was a former Director of the Texas Association of Bank Counsel. Mr. Smith is the President and owner of PSI Production, Inc. He is a member of the Independent Petroleum Association of America and served as its Northeast Texas Representative to the Board of Directors from 1999 to 2005. Mr. Smith is Chairman of the Board of Christus Trinity Mother Frances Health System, and is a member of UT at Tyler Engineering School Advisory Board and member of UT Tyler Development Board Executive Committee. Mr. Warner retired in 2006 as President of Temple-Inland Inc., a major manufacturer of corrugated packaging and building products, with diversified banking and financial services operations. During his more than 20 year career at Temple Inland, Mr. Warner worked as an attorney, served as director of investor relations, treasurer and chief accounting officer, as general counsel and corporate secretary, as chief administrative officer, and as president. He also served as an officer and director of numerous affiliated Temple-Inland Inc. entities. Since his retirement from Temple Inland, Mr. Warner worked as a consultant for Cerberus Capital Management from 2007 to 2011. Mr. Warner served as a director of BlueLinx Holdings Inc. from March 2008 until May 2017. Mr. Warner brings to the Board extensive legal, financial, business, and management experience. Mr. Warner’s expertise and experience as a director and officer of public and private companies including financial institutions qualify him to be a member of the Board.